The world of cosmetic medicine is a growing industry with more medical professionals and other practitioners building up very lucrative practices. While there are still many doctors performing surgical procedures, there’s been a dramatic rise in non-invasive and non-surgical aesthetic treatment, up 158% from 2000 to 2015, according to the American Society of Plastic Surgeons. The top five cosmetic surgery procedures in 2015 were breast augmentation, liposuction, nose reshaping, eyelid surgery and tummy tuck. The top five cosmetic minimally-invasive procedures for 2015 rank in popularity with Botox, soft tissue fillers, chemical peel, laser hair removal and microdermabrasion. Another cosmetic procedure gaining popularity is hair transplants. 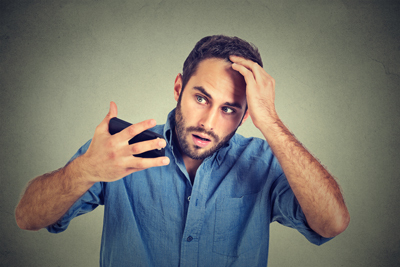 According to the International Society of Hair Restoration Surgery (ISHRS), the number of hair transplants increased 76% from 2006 to 2014. The total market size for hair-restoration surgery has increased 28% since 2012, from $1.9 billion in 2012 to $2.5 billion in 2014. Cosmetic medical practitioners and other medical professionals with thriving practices may be looking to supercharge their retirement, meaning accelerate their savings with pre-tax contributions and build wealth faster as investments grow tax deferred. If you have a medical office with no more than 10 employees, a cash balance plan may be an ideal retirement plan for you and your staff. One of the advantages of a cash balance plan is that owners can choose different contribution amounts for various participants – and can contribute three or four times what they can to other plans. Here’s an example of a retirement plan for a small medical practice, Dr. V., a hair transplant surgeon, age 55, who has four employees ranging in age from 25 to 49. The doctor has an S-Corporation and paid himself $265,000 in W-2.). His four employees earn total compensation of $245,000. The doctor is contributing $143,000 to a cash balance plan for himself and only $5,400 in total for his employees. In addition, Dr. V. can defer $24,000 into a Safe Harbor 401(k) for himself, and make profit sharing contributions of $12,250 total for the employees and another $18,250 for himself. In total, he will be adding $185,000 to his own retirement each year and deferring an estimated $77,000 in taxes. Many partners of firms and small business owners have discovered that a cash balance plan is a good fit after finding that other retirement options such as a traditional 401(k) plan fall short.